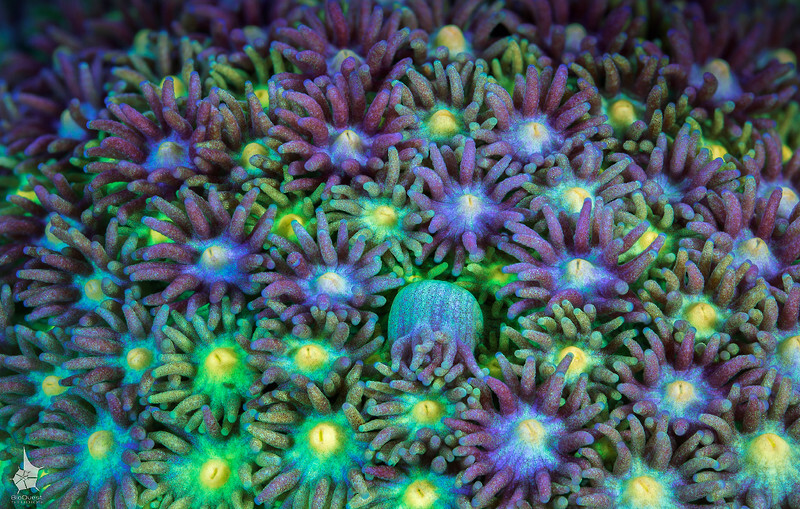 A very colourful goniopora coral. Each polyp is around 2 mm in diameter. The incredible texture and colours are only visible at high magnification.